The term, dual, or joint, custody refers to the legal doctrine awarding parents the equal right to direct the upbringing of their child. In most jurisdictions, joint custody is presumed unless either parent can prove why the joint involvement by both parents is not in the child’s best interests. In addition to the parents’ equal rights to engage in child-care decisions, joint legal custody allows both parents an equal say in medical care, education and religious upbringing. If the court decides that it's appropriate to place certain limitations on a joint custody arrangement, it will spell those out in its custody order. As a joint custodian, you have a right to be informed of the identity of any individual caring for your child. You also have the right to be involved in the decision to enroll the child in child care or to select an appropriate babysitter for the child. 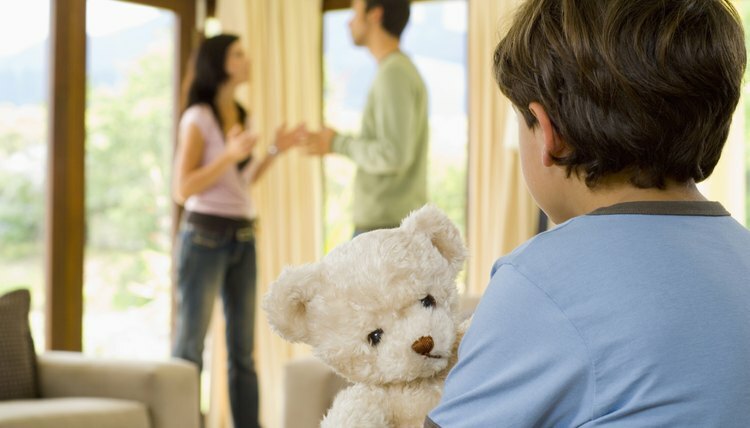 The situation can become less clear if the child does not live with you, as the child-care facility may refuse to release the child to you upon request. However, the parent with physical custody may consent to you picking up your child from day care. The child-care facility will likely ask for copies of your most recent custody and visitation orders to verify the custodial arrangement. As a joint legal custodian, you have the right to object to the other parent’s choice of child care. You may first express your issues to the other parent directly. If that is unproductive, you may need to file a motion in family court. This will likely be a motion for contempt against the other parent for failing to come to a mutual agreement with you about child-care arrangements. In your motion, you'll need to cite specific facts about why you do not consent to the proposed child-care arrangement, as well as include the relief you are seeking, such as an alternative child-care arrangement or a modification of your current order to include child care. If you file a motion for contempt against your child’s other parent, you will likely be required to attend a hearing on the matter. Disputes over child care, as with all proceedings involving children, are decided using the standard known as the “best interests of the child” doctrine. Each state code contains a set of factors the court must consider when making any decision regarding a minor, including the wishes of both parents, the child’s adjustment to his current child-care setting, the child’s wishes -- if age appropriate -- and any relevant background information about the child-care facility or babysitter in question. Childcare Law Center: Releasing Children From Child Care and Custody Issues: With Whom Can the Child Go Home?